Center of population:Two-thirds of the world's population -- more than 4.4 billion people -- live in the 10/40 Window. Unreached and unevangelized: 90% of the people living in the 10/40 Window are unevangelized. Many have never heard the Gospel message even once. There are either no Christians or not enough of a Christian movement in many cultures of the 10/40 Window to carry out vibrant near-neighbor evangelism. If those groups are to be evangelized, believers will need to leave their own culture and enter another one where they will seek to plant the gospel, perhaps even learning a new language in order to communicate. Such cross-cultural evangelism is required because there are people groups with no church movements that are understandable or relevant to them. Good news: There's a difference between unreached and unreachable. In 1989 there were only four known Christians living in Mongolia. That country now has an estimated 10,000 indigenous believers. Also, Christian television programming can now be received in many closed 10/40 Window nations. Good news: Christians delivered more than $1 million worth of food to just one 10/40 Window refugee camp in a recent year. In one North African country that is hostile to the Gospel, abundant rain fell after an Easter service. A local news channel reported, "Christians have brought rain to the desert." World religions: Islam, Buddhism and Hinduism are centered within the 10/40 Window. Least evangelized cities: Half of the world's least evangelized cities are in this window. Imagine a witch doctor marching up a district assembly aisle with his tools burning above his head in surrender to the Lord. Imagine bullets spattering around your boat as guerillas fire away. Imagine a village chasing you for revenge because too many people have turned to Jesus. 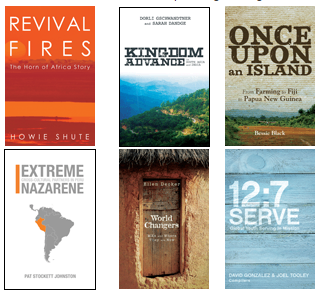 You don’t have to imagine...former missionary and current pastor Howie Shute, brings these stories and more to life as he recounts the Holy Spirit’s work in the Horn of Africa. Does God still move in hearts and lives today as he did in the early days of the disciples? This book answers that question with a resounding Yes! What is the rest of the story for kids raised in missionary families? What are they like when they grow up? Do they find it hard to fit into a more routine or perhaps Western society? Do they become missionaries themselves or find their own calling? Do they regret having a childhood that’s so much different than many of the people they encounter later in life? This book takes a look at several adults who were MKs, and notes how each one’s childhood played a part in shaping the World Changer the adult has become. Bob and Bessie Black were content and fulfilled. They had their farm and at middle age, their lives were all planned out...or so they thought. When God began placing missions on their hearts, they were confused. After all, they weren’t called to preach and teach. 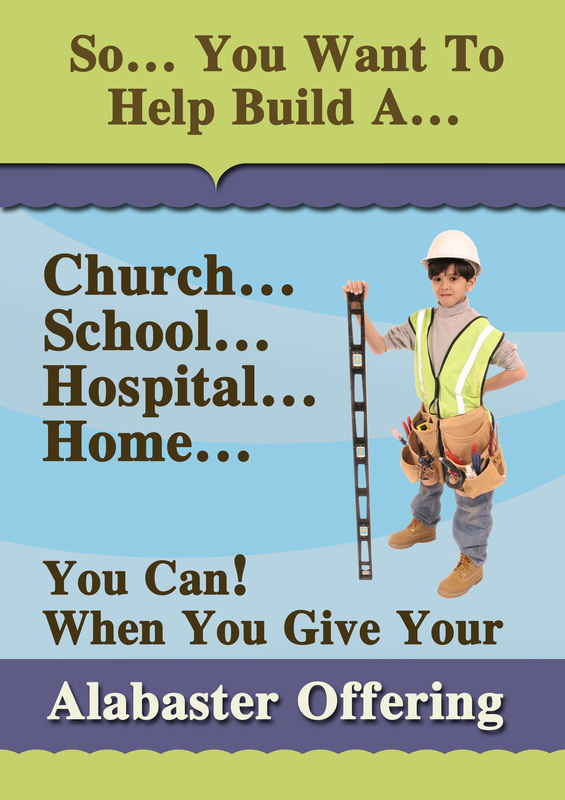 Bob was a farmer and handyman, not a pastor. Then the adventure began! These farmers learned that God can use the gifts He’s given us in unexpected ways, when we’re willing to use those gifts for the purposes He chooses. What happens when you put together two people who have never met before to become a ministry team? Add the twist of one of them being a Latin American, and one being a non-Latin person. Then send them out to work, witness, and build the kingdom together. Extreme Peru 40/40 shares the stories of Callie Pugel and Carmen Sanchez Cueva; Alex Adams and Eli Herrera Garcia; Timothy Mong and Dan­iel Rojas Villena—three pairs of 40/40 missionary volunteers, ranging in age from eighteen to thirty-four, who spent twenty-seven months in Peru, and their leaders Tyler and Amy Liebelt. Read about the big challenges, unexpected blessings, and great ministry in these young adults’ own words! What occurs when two worlds collide? The smuggler saw no conflict. After all, these travelers would be perfect distribution points for his wares. And he was the one who would decide if the JESUS Film team would be able to share the gospel. If they won his favor, the show would go on, if not, they would be banished from villages that desperately needed God’s touch. Which would prevail: The smuggler’s way? Or the gospel way? This book is a double treasure as the authors tell stories about people, places, and experiences in South Asia and India. The journey of ministry is like any other aspect of life—it’s filled with highs and lows, ups and downs, ebbs and flows. However, it’s important to note that ministry to others, in its richest form, is when we take the form of a ser­vant as Scripture guides us in Philippians 2:5-7. What happens when 12 young adults choose to focus part of their lives solely to developing and using their gift of serving—and, ultimately use those acts of service to make Christlike disciples in the nations? Through this global endeavor sponsored by Nazarene Youth International and the Youth Mobilization ministry of the Mesoamerica Region, 12 students from around the world served up good works and Christ in 7 Mesoamerica countries. Cars, bicycles, buses, motorcycles, burros, subways, airplanes, and a lot of walking—this was a journey of leadership and a journey of humility . . . .
And a journey of joy! Good news: Missions researcher David Barrett says the country with the most rapid Christian expansion ever is China where there are 10,000 new Christian converts every day. 80 percent of the world's people have access to at least some portion of the Bible in a language they can understand. This year's books are available in printed form or on CDs and can be checked out. See Opal at the Welcome Center or Darla Bridges. Start Reading & Listening Today! 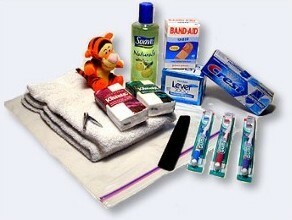 Each Crisis Care Kit (CCK) should contain only the items/quantities listed. Place all items into a 2-gallon zip-lock bag.